Besides the amount of carbon stored in permafrost soils the carbon quality and therefore decomposability is the most important factor in determining the transfer rate of permafrost carbon to the atmosphere. Soil organic matter quality varies with depth and geographical region and is influenced by past decomposition that often left poor carbon quality. 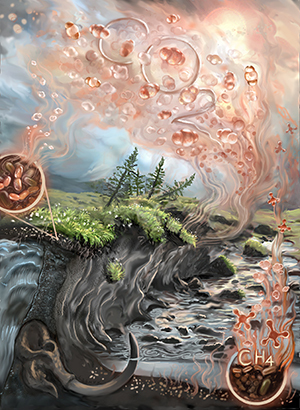 Furthermore, physical protection of soil minerals and environmental factors such as temperature, water, nutrient availability and soil pH can all influence microbial decomposition rates. Laboratory soil incubation studies are very useful in isolating environmental factors from each other and also allow for environmental manipulations to soils as well as comparisons between soil types and geographical regions. Synthesizing laboratory incubation studies will help determine the parameters that define carbon decomposition and show if there is systematic variation in soil quality across the permafrost zone. 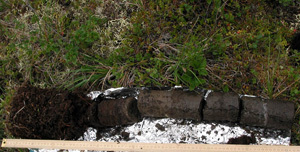 As the overall decomposability of permafrost carbon is still poorly understood a synthesis study on incubation studies from permafrost soils will help determine the potential carbon source or sink capacity of permafrost soils and with it possible positive feedbacks between the terrestrial C-cycle and the atmosphere. 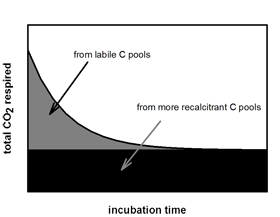 What is the decomposability of permafrost over time? How much differs decomposability of carbon fractions with different turnover times across the permafrost zone? What are the differences in carbon quality for different vegetation types and soil depths? 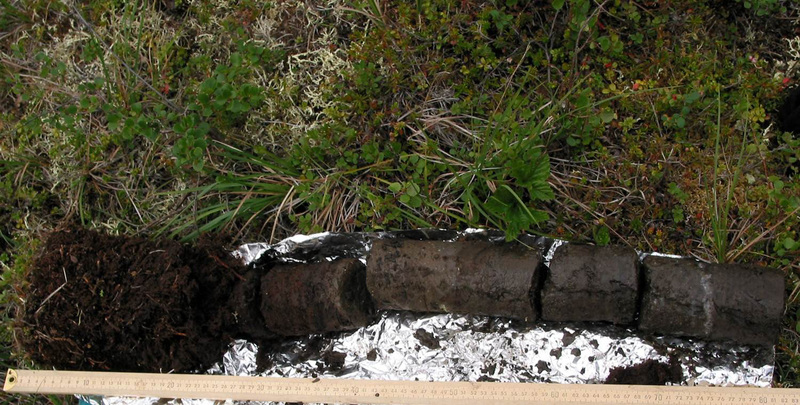 How much permafrost carbon is vulnerable to mineralization? We assessed the vulnerability of permafrost carbon to decomposition by estimating carbon pool sizes and turnover times from thawed permafrost using long-term incubation data. The vulnerability of carbon ranges from 40% loss in organic soils to 16% in shallow mineral soils and 9% in deep mineral soils over 50 years of incubation at a given temperature of 5°C. Our results show that across the permafrost zone organic and mineral soils with a high carbon to nitrogen ratio are the most vulnerable soils to carbon loss in the near future. 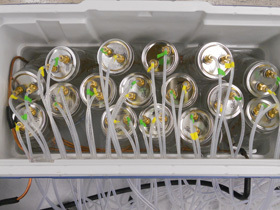 A next product of the carbon quality working group synthesizes existing CH4 and CO2 production measurements from anaerobic incubations of boreal and tundra soils from the geogrpahic permaforst region to evaluate large-scale controls of anaerobic CO2 and CH4 production and compares the relative importance of landscape-level factors. The results demonstrate that as climate warms in arctic and boreal regions, rates of anaerobic CO2 and CH4 production will increase, not only as a result of increased temparature, but also from shifts in vegetation and increase in ground saturation that will accompany permafrost thaw. Schädel C, Bader MKF, Schuur EAG, Biasi C, Bracho R, Čapek P, De Baets S, Diáková K, Ernakovich J, Estop-Aragones C, Graham DE, Hartley IP, Iversen CM, Kane E, Knoblauch C, Lupascu M, Martikainen PJ, Natali SM, Norby RJ, O/'Donnell JA, Chowdhury TR, Šantrůčková H, Shaver G, Sloan VL, Treat CC, Turetsky MR, Waldrop MP, Wickland KP (2016) Potential carbon emissions dominated by carbon dioxide from thawed permafrost soils. Nature Clim. Change, advance online publication. Incubation method recommendation for permafrost soils. The motivation behind this methodological paper is to improve future soil incubation studies and to make individual studies as useful as possible for inclusion in syntheses.